WHMIS - F.A.S.T. Rescue Inc. 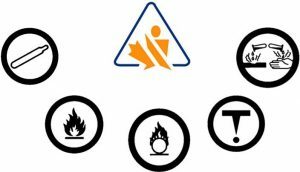 The Workplace Hazardous Materials Information System (WHMIS) is a Canada-wide system that has been designed to provide employers and workers guidelines to identify and safely manage hazardous workplace materials. It is legislated by both the federal and provincial jurisdictions and it emphasizes the fact that workers have the right to know. F.A.S.T. Rescue provides WHMIS Training as an online option or as a hands-on classroom training session. Course Content: Students will learn the legislative requirements, responsibilities of the workplace, information delivery, worker education and training, occupational health, recognition, assessment, and control options.